This level has easy difficulty and you need to use good technique to complete this level. 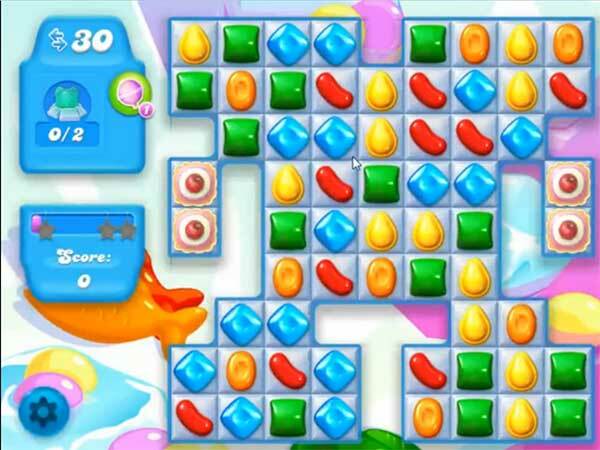 For this level you should try to play in middle of the board to find the big pink wrapped fish. This will help to break more blockers and snow to find the bears. Or try to make striped candy with colorbomb or wrapped candy combo to break the corner blockers to easily find the bears within less moves. been stuck on this level for a year! This is a fun but very difficult level! Hate this level. Why are there so many layers over the bears? It seems like just when you get down to them you run out of moves. UGHHHH!!!!!! Worst level ever!…up for a challenge..but lose the will to play at all agter 6 months!! Hate level 220. Impossible to beat. Will look for a game that a person can win at.